Michelle Just, president and CEO at Beatitudes Campus, is pleased to announce that Rod Bailey, M.S.W., Ph.D., has joined Beatitudes Campus as senior vice president of sales and marketing. Bailey comes to the campus with more than 25 years of experience in healthcare administration, along with expertise in organizational management. I am committed to and inspired by the campus’ pursuit of excellence and innovation in the field of aging. 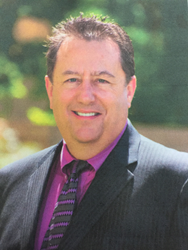 As senior vice president, Bailey is part of the executive management team and will be responsible for positioning Beatitudes Campus as the leader in retirement living and successful aging in the Phoenix metropolitan community. He will lead the sales and marketing efforts while addressing key strategic priorities that allow Beatitudes Campus to continue its strong momentum and heritage of serving older adults. Recognized as an innovator in the field, Bailey has held leadership positions in several life plan communities in Arizona, most recently as senior vice president at Glencroft Retirement Community. Bailey is a long-time Arizonan, and is board president for the Area Agency on Aging Elder Friends and a board member of the LeadingAge Arizona Foundation. He is past president of Gilbert Leadership Program, the Gilbert Historical Society and Museum and a past board member of the Chandler-Gilbert YMCA and of LeadingAge Arizona. Bailey is a Retirement Housing Professional (RHP) and a licensed nursing facility administrator as well as a certificated assisted living manager. Bailey earned his Ph.D. in healthcare administration from Lael College and Graduate School, his M.S.W. in social work with an emphasis on policy, planning and administration from the University of Illinois-Champaign, and a B.S. in business administration and social welfare from Olivet Nazarene University.